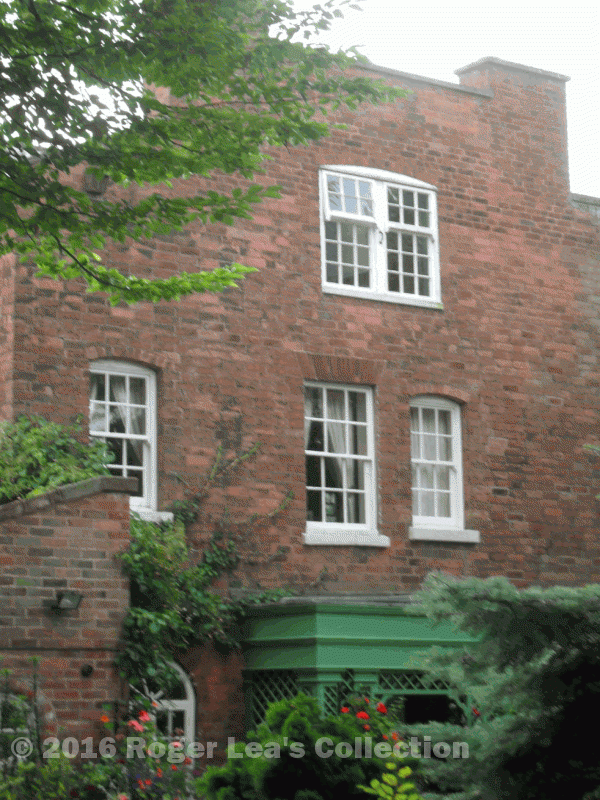 Solomon Smith lived here, the Larches, Four Oaks Road, in 1811. Sutton in 1811 was a quiet market town with a scattered rural population, but there was enough development going on to keep Solomon Smith the builder busy - indeed, to enable him to become a wealthy man. He had his business at Four Oaks, at a house now known as The Larches in Four Oaks Road. At that time there was common land in front of his house - a village green in effect - and he had the free use of part of the green for his timber yard and sawpit. He was elected to the Warden and Society (the town council of Sutton) in 1817, and his knowledge of property values was useful to the council when the enclosure of the commons began in 1824 - he was asked to report on several contentious issues, and his advice was usually taken. By 1824 he had removed his timber yard to some land behind his house, and some of his workmen were living in nearby cottages which he had built for them. Although Solomon Smith was a member of the Warden and Society he was often contracted to do public works, for example the school Mere Green and cottages in the Park at Rowton’s Hill and Hollyhurst completed in 1828. The Warden and Society authorised payment to Solomon Smith in 1829 of £13.1s for making a well at Nash’s Lodge (Rowtons cottage), as well as forty-four pounds for roads and fences at Longmoor Mill. When Mr. Valentine of Fox Hill was declared bankrupt in 1833 it was found that he had just repaid a loan of £1,000 borrowed from Solomon Smith, and when Fox Hill House was put up for auction in 1835, Solomon Smith was the purchaser. He was now in a position to live in style as a gentleman, and served as quartermaster of the “Royal Sutton Coldfield Volunteers”. He was elected Warden in 1847, the high point of his career.